All right friends, it's crunch time for spring break! I shared all my momma faves earlier this week, but we can't forget about the kiddos! I swear I always end up packing twice as much stuff for my kid as I do for myself. Going to the beach with kids pretty much requires you to bring your entire house am I right? I mean, you might as well just move in. 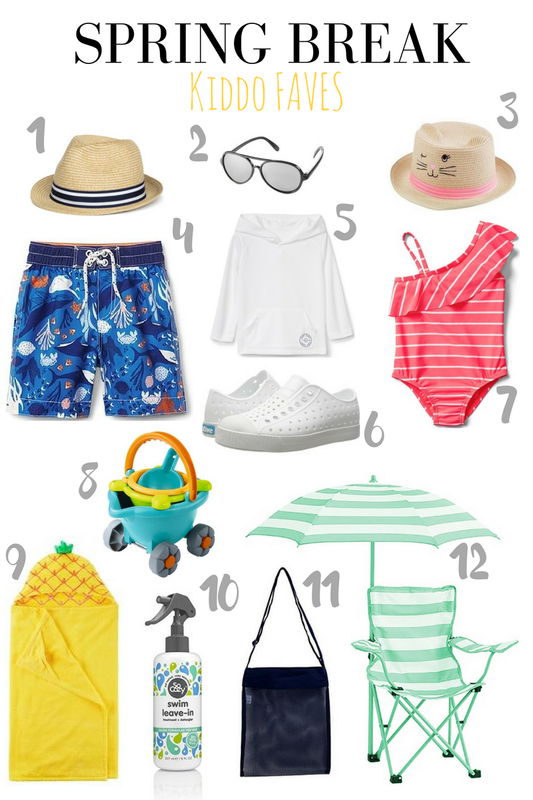 We just picked up a beach buggy to cart all our stuff down to the water, and you can see some of our favorite gear and toys below. When figuring out what my kid is going to wear I always look for maximum sun protection in clothing. And whatever you do, wherever you go, for heavens sake don't forget the snacks. You can see some of our pool specific favorites here too! 1 comment on "Spring Break Faves: Kiddo Edition"